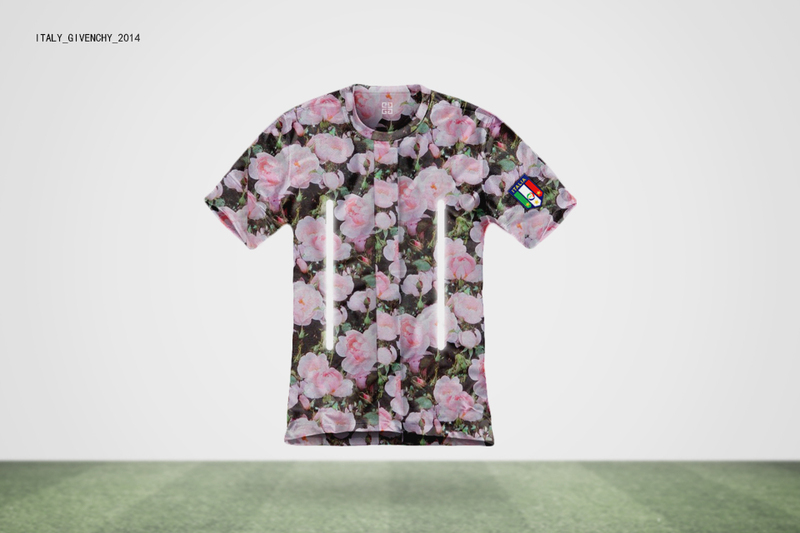 What if World Cup Jerseys were Designed by Famous Fashion Designers? Every once in a while, the world comes together to watch one of the biggest sporting events. The FIFA World Cup has turned into one of the most anticipated events of this time. In honor of this event, the artist @DeadDilly made an original series for @Highsnobiety of what would it look like if the World Cup jerseys were designed by high-end fashion designers. The pictures features the year and “designer” for each jersey. From Balenciaga to Rick Owens, the designs go in a range of very different styles. NOTE: click the pictures to enlarge them and see the designer on the left upper corner of the picture.